1840 - Alvin Adams (36) established Adams & Co. as an express service in Boston (2 men, 1 boy as employees; 1 wheelbarrow); 1845 - U.S. government initiated protection for U.S. post offices from independent competitors - only post office authorized to carry letters for fee; July 1, 1854 - The Adams Express Company formally incorporated in New York City (merged Adams express and 8 other East Coast express companies); September 7, 1849 - announced new service to San Francisco via panama; 1918 - U.S. railroads nationalized, railway express operations of principal express companies sold to new government-operated American Railway Express Company (became passive investors in AREC, U.S. government operation); 1920 - railroads reprivatized; 1929 - 86 principal U.S. railroads formed monopoly company, Railway Express Agency, acquired AREC shares; October 1929 - company operated as closed-end fund; first 75 years - one of nation's leading independent express companies; second 75 years - one of nation's largest closed-end investment companies. 1894 - John Tappan founded Investors Syndicate; 1937 - Company assets reached $100 million; 1940 - entered Mutual Fund market in partnership with Investors Mutual; 1949 - name changed to Investors Diversified Services, Inc. (IDS); 1984 - IDS Financial Services acquired by American Express; 1986 - IDS acquired Wisconsin Employers Casualty Company of Green Bay, WI; renamed IDS Property Casualty Insurance Company; 1994 - IDS reached $100 billion in assets; conducted business under American Express brand; August 1, 2005 - American Express Financial Corporation changed name to Ameriprise Financial, Inc.; September 30, 2005 - spun off from American Express; May 2008 - ranked No. 296 on the FORTUNE 500. 1904 - Roger and Grace Babson founded Babson's Statistical Organization with an initial investment of $1,200; later called Business Statistics Organization, then Babson's Reports, later Babson-United Investment Reports; central clearinghouse for information on investment information, business conditions published in newsletters, sold by subscription to interested banks and investors; 1907 - expanded investment practice to include counseling; originated Babsonchart of economic indicators (assessed current, predicted future business conditions); first financial forecaster to predict stock-market crash of October, 1929; 2001 - Babson-United Investment Reports closed. 1919 - Theodore T. Scudder, Sidney Stevens, Haven Clark founded Scudder, Stevens & Clark. March 21, 1924 - Massachusetts Investment Trust organized in Boston as managed fund offering redeemable securities; first open-ended mutual fund (vs. closed-end trust) in U.S. (pool of funds contributed by investors, mutually owned by shareholders but managed by trustees who held the power to invest its assets at will, and who were to be compensated at what was then the current bank rate for trustees); idea of Edward Leffler (formerly of International Securities Trust of America, sponsor of first publicly-distributed closed-end fund in 1921, and employee of of Learoyd, Foster & Co. brokerage firm); first trustees - Edward Leffler, Charles Learoyd and Hatherly Foster (of Boston brokerage firm of Learoyd, Foster & Co.); June 1924 - Leffler, Foster resigned as trustees to sell fund shares (Leffler formed Incorporated Investors in 1925 with George Putnam as open-end investment company); replaced by Ashton L. Carr, L. Sherman Adams (both of State Street Trust Co.); Merrill Griswold became first chairman; initial capital of $50,000, initial minimum investment of $250; portfolio of 100% common stock, based only on conservative investment principles (no speculative schemes of closed-end funds), portfolio publicly disclosed; 1925 - organized Investment Trust Fund A on premise that common stocks outperform bonds and cash over long term; 1932 - established in-house research department, employed first industry research director (initiated industry practice of preparing stock research reports); 1969 - became part of Massachusetts Financial Services (MFS); 1982 - acquired by Sun Life Financial of Canada. July 1924 - Paul Cabot, Richard Paine, Richard Saltonstall formed State Street Investment Corporation in Boston; country's second mutual fund, one of first mutual investment companies (first whose partners visited companies, interviewed managers before deciding to invest); 1927 - became open-end investment company; 1929 - 19 open-end mutual funds competed with nearly 700 closed-end funds; 1982 - acquired by Metropolitan Life Insurance Company (fund assets grew from $500 million in 1981 to $7.5 billion as 2000); 2004 - acquired by BlackRock for $375 million; merged into smaller fund. 1927 - Kenneth Stevens Van Strum (28) established Van Strum Financial Service, investment-counseling firm, in New York City; 1930 - hired Herbert Sands Towne, opened branch office in Springfield, MA; 1934 - Towne made partner, firm renamed Van Strum & Towne, Inc.; 1940 - nearly three-dozen employees in five locations around country; 1952 - set up Channing Corporation, multifaceted conglomerate; assembled array of mutual funds in U.S. and Canada; 1968 - Robert Van Kampen (30) set up investment partnership in Chicago; pioneered insurance coverage for tax-exempt bond funds (insured unit investment trusts); 1980 - John C. Merritt, former head of Unit Trust Division of Butcher & Singer, joined Robert Van Kampen as president; company renamed Van Kampen Merritt, Inc.; 1983 - had sold nearly $7 billion of trusts; nation's third-largest firm in that arena; acquired by Xerox Corporation (Xerox Financial Services Inc.) for $200 million; after several mergers, Channing renamed American Capital Corporation; 1984 - Van Kampen Merritt introduced first mutual fund; 1986 - mutual fund business topped $3.5 billion; 1994 - merged with American Capital, formed fifth-largest broker-sold mutual fund group (more than $50 billion in assets under management, more than 75 mutual funds); renamed Van Kampen American Capital; June 1996 - acquired by Morgan Stanley; 1987 - one of six companies in nation to hold more than $100 billion in mutual fund assets; 1998 - Van Kampen American Capital changed name to Van Kampen Investments, completed $1.6 billion IPO of closed-end mutual fund, second-largest closed-end IPO at time. December 27, 1928 - Walter L. Morgan (31) incorporated Industrial and Power Securities Company as "stand-alone" fund with $100,000 of assets (raised from relatives, businesspeople in home state of Pennsylvania); committed to a policy of balanced; investing; July 1, 1929 - began operations ( eight other mutual funds in existence); three objectives: 1) Conservation of Capital, 2) Reasonable Current Income, 3) Profits Without Undue Risk; assets of $195,000 at end of first year; 1934 - assets exceeded $1,000,000; July 11, 1935 - name changed to to Wellington Fund, Inc. (named for Duke of Wellington, 19th-century British general who defeated Napoleon); 1944 - tenth largest firm in industry; 1949 - assets of $100 million; 1965 - assets of $2 billion; 1968 - merged with Windsor Fund (second member of 118-fund Vanguard family); 1972 - John C. Bogle took over (hired in June 1951); September 24, 1974 - The Vanguard Group formed (named for Lord Nelson's flagship, HMS Vangaurd), Wellington became charter member of mutual structure; management fees, operating costs sharply reduced, recognition that improved performance essential to firm's continuing competitiveness; 1977 - shares offered directly to investors on commission-free basis; mid-1982 - assets plummeted to $470 million; 2003 - $27 billion, largest balanced fund in world. May 1, 1930 - Anderson & Cromwell money management firm (became Cromwell & Cabot, Inc. in 1937) founded Fidelity Shares, Inc. (open-end diversified investment company) in Boston, MA; 1938 - opened its own offices; 1943 - Edward C. Johnson II (45), former trust lawyer at Ropes, Gray, Boyden & Perkins (1925-1939), and vice-president and treasurer of Incorporated Investors investment trust (since 1939; founded 1925 by Edward Leffler, creator of Massachusetts Investment Trust, and George Putnam), hired as president, director (investment advisor) of $3 million Fidelity Fund (done on part-time basis); 1945 - Johnson devoted full-time to Fidelity; 1946 - did not renew contract with Cromwell & Cabot (fee for investment advice), incorporated Fidelity Management and Research as investment adviser to Fidelity Fund; believed that funds should invest in common stocks that traded heavily; launched Puritan Fund; 1947 to 1957 - assets under management grew from $16 million to $262 million; 1962 - established Magellan Fund; 1972 - formed FMR Corp.; Edward 'Ned' C. Johnson III took over (assets of $39 billion; 1977 - Peter Lynch became manager of Magellan Fund; 1979 - offered discount brokerage services; 1993 - assets under management surpassed $250 billion; June 15, 2001 - Abigail Johnson (39, grand daughter) named president; 2006 - revenue of $12.8 billion, about 46,000 employees worldwide; November 2007 - converted into limited liability company, called FMR LLC to save hundreds of millions of dollars in tax payments a year; $1.57 trillion of assets, more than 400 funds, more than 23 million investors in individual, institutional accounts. 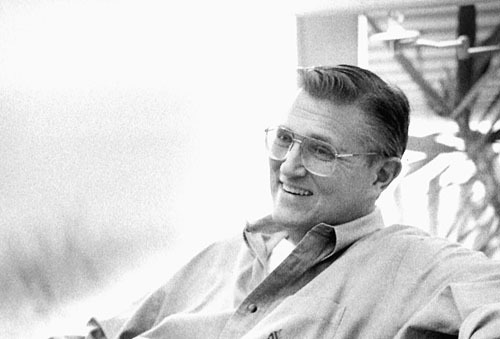 1931 - Jonathan Bell Lovelace founds Capital Research and Management Company (Capital Group). 1937 - George Putnam, Sr. established The George Putnam Fund of Boston, a balanced mutual fund; offered flexible portfolio of stocks and bonds; 1970 - acquired by Marsh McLennan (assets under management are nearly $2 billion). September 3, 1937- Chauncey Waddell, former reporter for Wall Street Journal and stock broker and Cameron Reed formed Waddell & Reed, Inc. (merger of Herrick, Waddell & Co., New York securities firm, and Consolidated Trust Inc.) in Kansas City, MO; 1943 - principal underwriter for United Funds, Inc., open-end investment company, one of first mutual funds registered under Investment Company Act of 1940; October 9, 1940 - launched first two mutual fund products under United Funds name (Accumulative Fund, Income Fund); 1961 - assets under management reachred $1 billion; 1969 - acquired by Monte, Neil Wallace (Continental Investment Corporation) for $82.5 million; October 26, 1981 - acquired by Liberty National Insurance Holding Company (renamed Torchmark in 1982) for $160 million; 1985 - W & R assets under management reached $5 billion; March 5 1998 - Waddell & Reed Financial, Inc. went public. 1949 - Alfred Winslow Jones (48), four friends formed an investment partnership—the first hedge fund—with Jones as the Managing Partner; realized that one could use speculative techniques to conservative ends; Used knowledge of statistics to develop a measure of market and stock-specific risk to better manage the exposure of his portfolio; referred to his fund as a "Hedged Fund" not a "Hedge Fund" because he believed that being hedged was the most important identifying characteristic; created an in-house fund of funds with multiple managers running portfolios under one legal entity (the limited partnership) supervised by Jones. Jones’s job changed from picking stocks, to picking stock analysts. He allocated capital among them, monitored the portfolio’s exposure, and managed the firm’s operations; 1970 - partnership name changed to A.W. Jones Company; 1983 - Robert L. Burch, III (son-in-law) became a General Partner; 1984 - became Managing Partner; transformed firm into a formalized fund-of-funds structure with no internal managers; 2003 - Robert L. Burch, IV (grandson) became a General Partner. 1958 - Richard Russell began publishing Dow Theory Letters; oldest service continuously written by one person in the business. May 15, 1959 - Max Oppenheimer, Leon Levy, Jack Nash, partners at Oppenhiemr & Co., offered Oppenheimer Fund, single fund mutual-fund, to public; first SEC-approved fund open to small investors, allowed to sell short (established by Edmund Delaney, lawyer in 1957); 1960 - Oppenheimer & Co. organized Oppenheimer Management Corporation as separate subsidiary to manage its mutual fund business, act as investment adviser for Oppenheimer Fund; 1982 - acquired by Mercantile House Holdings, PLC; 1985 - majority interest acquired by management of Oppenheimer & Co., Inc., Oppenheimer Capital, separated businesses from OppenheimerFunds; 1987 - Mercantile acquired by British & Commonwealth Holdings, PLC; 1990 - OppenheimerFunds, subsidiaries acquired by OppenheimerFunds's senior management, Massachusetts Mutual Life Insurance Company; June 30, 2008 - more than $225 billion in assets under management. August 10, 1971 - Luther Tyson and Jack Corbett, worked on peace, housing, employment issues for United Methodist Church, started Pax World Fund with $101.000 in assets; first broadly diversified, publicly available mutual fund to use social, financial criteria in investment decision-making process; 2007 - industry estimated to hold more than $2.7 trillion in investor assets (source: Social Investment Forum); 2008 - Pax advises eight funds, serves more than 100,000 investors; July 30, 2008 - fined $500,000 by SEC for failing to follow its own socially responsible investing criteria over five-year period (two of its mutual funds invested in off-limits industries such as gambling, liquor, oil and gas exploration). 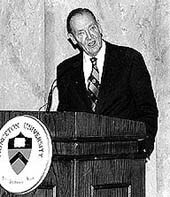 1975 - John Bogle presented idea to board of directors of newly formed Vanguard Group: extremely low-cost mutual fund (0.3% per year in operating expenses, 0.2% per year in transaction costs vs. annual fund costs of about 2.0%) that would attempt to would attempt to mirror returns of stock market as measured by Standard & Poor's 500 index by buying each of index's 500 stocks in amounts equal to weightings within index itself; August 31, 1976 - First Index Investment Trust created (nation’s first index mutual fund available to individual investors, now known as Vanguard® 500 Index Fund); 1984 - second index fund; 1988 - total index fund assets of $5.6 billion (1% of total assets of equity mutual funds); 1996 - 5% market share; 1999 - 9% market share; 2006 - 175 of equity fund assets ($1 trillion). 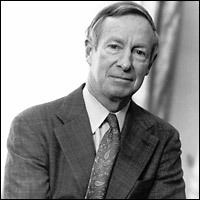 November 6, 1978 - President Carter signed Tax Revenue Act of 1978 (included 401(k) provision - cash or deferred bonus plans qualified for tax deferral; did not preclude pretax salary-reduction programs); 1980 - R. Theodore Benna, employee benefits consultant with Johnson Cos. in Philadelphia, devised first 401(k) [employee savings] plan in response to client's proposal to transfer cash-bonus plan to deferred profit-sharing plan - pretax salary reduction, company matches, employee contributions; 1981 - established first salary-reducing 401(k) plan before Internal Revenue Service (IRS) wrote regulations to govern it (IRS provisionally approved plan); payroll deductions for IRAs allowed; 1986 - Reagan administration tried two attempts to invalidate 401(k)s; 1985-1994 - value of 401(k) plans sponsored by 1,500 large corporations surveyed annually by Greenwich Associates grew from $137 billion to $454.7 billion; number of employees able to participate in 401 (k) plans rose from 7 million in 1983 to more than 48 million by 1991. November 20, 2006 - Bank of America Corp. agreed to buy U.S. Trust, wealth management (private-banking) unit of Charles Schwab Corp. (4th largest), for $3.3 billion in cash; created biggest manager of private wealth to better compete for wealthy clients against Citigroup Inc. and JPMorgan Chase & Co.
June 12, 2009 - BlackRock Inc. acquired Barclays Global Investors for $13.6 billion, largest deal in history of money management industry; formed new $2.7 trillion asset management company, named BlackRock Global Investors. July 24. 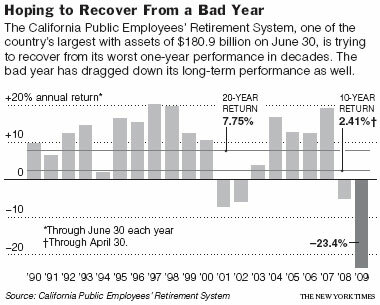 2009 - CALPERS record: worst one-year performance in decades. (Acorn), Ralph Wanger with Everett Mattlin (1997). A Zebra in Lion Country: Ralph Wanger's Investment Survival Guide. (New York, NY: Simon & Schuster, 251 p.). Investments; Securities; Finance, Personal. (Adams Express), Albert Shumate; with foreword by Kevin Starr (1986). The Notorious I.C. Woods of the Adams Express. (Glendale, CA: A. H. Clark, 144 p.). Woods, Isaiah Churchill, 1825-1880; Adams & Co.--History; Businesspeople--California--Biography; California--Economic conditions. (American Express Financial Advisors), Kenneth Lipartito, Carol Heher Peters (2001). Investing for Middle America John Elliott Tappan and the Origins of American Express Financial Advisors. (New York, NY: Palgrave, 268 p.). Professor of History (Florida International University); Great Granddaughter of John Elliott Tappan, Communications Editor at the Princeton Environmental Institute (Princeton University). Tappan, John Elliott, 1870- ; American Express Financial Advisors; Financial planners--United States; Investment advisors--United States; Financial services industry--United States. (Babson's Reports), Roger W. Babson (1949). Actions and Reactions: the Autobiography Of Roger Babson. (New York: Harper, p. [rev. ed.]). Founder, Babson's Reports. Babson, Roger Ward, 1875- ; Investment advice; Investment information. (Babson's Reports), Earl L. Smith (1954). Yankee Genius; A Biography of Roger W. Babson, Pioneer in Investment Counseling and Business Forecasting Who Capitalized on Investment Patience. (New York, NY: Harper, 298 p.). Babson, Roger Ward, 1875-. (Cambridge Associates), Hunter Lewis (2007). Are the Rich Necessary? : Great Economic Arguments and How They Reflect Our Personal Values. (Mt. Jackson, VA: Axios Press, 282 p.). Co-founder, Cambridge Associates. Economics; Business & Investing. Alternate approaches to solving everyday economic problems; succinct, yes-or-no economic question: "Does the profit system glorify greed?, analyzes rationally arguments behind both answers. (Capital Group), Charles D. Ellis (2004). Capital: The Story of Long Term Investment Excellence. (Hoboken, NJ: Wiley, 318 p.). Capital Group History; Investment advisors History. (Cassandra Group Inc.), Emily White (2007). You Will Make Money in Your Sleep: From Boom to Bust with Dana Giacchetto in the 1990s. (New York, NY: Scribner, 320 p.). Giacchetto, Dana; Investment advisors--United States--Biography; Investment advisors--Corrupt practices--United States. Former president, founder of $100 million Cassandra Group, investment advisory firm; managing funds for celebrity clients; charged with stealing $9.9 million in client funds, lying to securities investigators; sentenced to nearly 5 years in prison; won early release. (Dreyfus), Jack Dreyfus (1996). 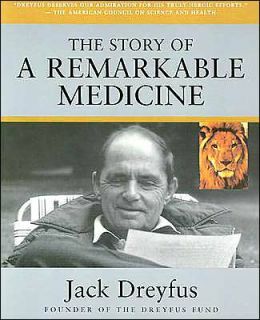 The Lion of Wall Street: The Two Lives of Jack Dreyfus. (Washington, DC: Regnery Pub., 328 p.). Founder, Dreyfus Funds. Dreyfus, Jack, 1913-; Dreyfus, Jack, 1913- -- Health; Capitalists and financiers -- United States -- Biography; Depression, Mental -- Patients -- United States -- Biography; Phenytoin. (Fidelity), Diana B. Henriques (1995). Fidelity's World: The Secret Life and Public Power of the Mutual Fund Giant. (New York, NY: Scribner, 416 p.). Business Reporter-New York Times. Fidelity Investments (Firm); Mutual Funds-United States. Fidelity - the corporation and its environment: consumer company marketing "products" to satisfy every taste, rather than group sober fiduciaries who considered investors as shareholders and themselves as trustees. (Greenlight Capital), David Einhorn; foreword by Joel Greenblatt (2008). Fooling Some of the People All of the Time: A Long, Short Story. (Hoboken, NJ: Wiley, 400 p.). Founder, Greenlight Capital. Allied Capital--Management--Evaluation; Allied Capital--Accounting--Evaluation; Small business investment companies--United States--Management--Evaluation. Events that followed speech about shorting Allied Capital (leader in private finance industry); how Allied, investment community attacked to protect company, its stock price; how current environment allows such behavior, protects companies, attacks those who attempt to uncover them. (Holte Capital Ltd.), Lars Kroijer (2010). Money Mavericks: Confessions of a Hedge-Fund Manager. (New York, NY: Financial Times Prentice Hall, 210 p.). Founder and Chief Executive Officer of Holte Capital Ltd. Hedge funds; Hedge funds -- Management; Speculation. Life of a hedge fund; what it's like to try, set, run a hedge fund; founding, rise, eventual closing of fund which operated in London from 2002 to 2008; trying to do something incredibly hard: beat the market. (Incorporated Investors), Amory Parker (1946). Twenty Crucial Years; The Story of Incorporated Investors, A Pioneer Investment Company, 1925-1945. (Boston, MA: Parker Corporation, 126 p.). Incorporated Investors. (Legg Mason), Janet Lowe (2002). The Man Who Beats the S&P: Investing with Bill Miller. (New York, NY: Wiley, 262 p.). \Miller, Bill, 1950- ; Investments. (L.T.C.M. ), Nicholas Dunbar (2000). Inventing Money: The Story of Long-Term Capital Management and the Legends Behind It. (New York, NY: Wiley, 245 p.). British financial journalist. Long-term Capital Management (Firm); Finance; Financial crises. (L.T.C.M. ), Roger Lowenstein (2000). When Genius Failed: The Rise and Fall of Long-Term Capital Management. (New York, NY: Random House. Former Wall Street Journal Reporter. Hedge funds--United States. (Marathon Asset Management), Edward Chancellor (2004). Capital Accounts: A Money Manager's Reports on a Turbulent Decade (1993-2002). ( New York, NY: Texere, 272 p.). Investment advisors; Money management. (Mercury Asset Management), Peter Stormonth Darling (2000). City Cinderella: The Life and Times of Mercury Asset Management. (New York, NY: Texere, 284 p.). Chairman of Mercury Asset Management from 1979 to 1992. Warburg, Siegmund; Mercury Asset Management; investment advisers. (Minyanville Media), Todd A. Harrison (2011). The Other Side of Wall Street: In Business It Pays to Be an Animal, In Life It Pays to Be Yourself. (Upper Saddle River, NJ: FT Press, 192 p.). Founder of Minyanville Media, Former Vice President on Worldwide Equity Derivative Desk at Morgan Stanley, Former Managing Director of Derivatives at The Galleon Group, Former President of $400 million hedge fund Cramer Berkowitz. Harrison, Todd A.; Stockbrokers --United States --Biography; Investment advisors --United States --Biography. From adrenaline rush of trading at Morgan Stanley, to trench warfare with Galleon and Jim Cramer to valuable lessons about money and life. (MotherRock LP), Ben Mezrich (2007). Rigged: The True Story of an Ivy League Kid Who Changed the World of Oil, from Wall Street to Dubai. (New York, NY: Morrow, 294 p.). Columnist for Stuff magazine and Boston Common. D’Agostino, John; Petroleum industry and trade--United States--Biography; Businesspeople--United States--Biography. Founding Partner and COO of MotherRock LP (energy hedge fund). Rags-to-riches story of Italian-American kid from streets of Brooklyn; Harvard Business School, Merc Exchange (oil exchange), adventure to revolutionize oil trading industry. (Odyssey Partners), Leon Levy with Eugene Linden ; foreword by Alan Abelson (2002). The Mind of Wall Street: A Legendary Financier on the Perils of Greed and the Mysteries of the Market. (New York, NY: Public Affairs, 220 p.). Founder, Oppenheimer Funds. Wall Street; Investments--United States; Speculation--United States. (Paulson & Co.), Greg Zuckerman (2009). The Greatest Trade Ever: The Behind-the-Scenes Story of How John Paulson Defied Wall Street and Made Financial History. (New York, NY: Broadway Business, 304 p.). Reporter (Wall Street Journal). Pulson, John; Paulson & Co., Inc.; housing market--history. How contrarian foresaw escalating financial crisis; 2006 - realized housing market, value of subprime mortgages were grossly inflated, headed for major fall; Paulson, Jeffrey Greene, Michael Burry began to bet heavily against risky mortgages; initially, lost tens of millions of dollars; double size of bets; summer of 2007 - markets began to implode, brought Paulson early profits, sparked efforts to rescue real estate and derail him; year end 2007 - greatest trade in financial history, earned more than $15 billion for his firm (dwarfed George Soros's billion-dollar currency trade in 1992); 2008 - made billions more. (Pershing Square Capital Management), Christine Richard (2010). Confidence Game: How a Hedge Fund Manager Called Wall Street's Bluff. (New York, NY: Bloomberg Press, 352 p.). Debt reporter for Bloomberg News. Ackman, Bill; Pershing Square Capital Management. How hedge fund manager Bill Ackman warned that MBIA Inc., little-known bond insurance company, had guaranteed nearly a $ trillion of debt (short seller stood to gain $ billions from company's bankruptcy if investigated by Eliot Spitzer, Securities Exchange Commission); branded a fraud in financial press; Ackman's battle with MBIA; bond insurance business dried up; dangerous delusions that humbled America's largest financial institutions. (PIMCO), Timothy Middleton (2004). The Bond King: Investment Secrets from PIMCO's Bill Gross. (Hoboken, NJ: Wiley, 223 p.). Gross, William H.; Bonds; Bond market; Investments. (PIMCO), Mohamed A. El-Erian (2008). When Markets Collide: Investment Strategies for the Age of Global Economic Change. (New York, NY: McGraw-Hill, 344 p.). Co-CEO, Co-CIO of PIMCO. Markets; Business cycles; Risk management. Why asset class mispricings are important signals of opportunities, risks that will shape market for years to come; recent events in proper context; how to: think about new opportunities and risks; construct appropriately diversified, internationalized portfolio; capitalize on new financial landscape, while limiting exposure to new risk configurations. (Pioneer Funds - established 1928), Philip L. Carret (1998). Classic Carret: Common Sense from an Uncommon Man. (Boston, MA: Pioneer Group, 100 p.). Carret, Philip L. (Philip Lord), b. 1896 --Quotations; Business--Quotations, maxims, etc. ; Economics--Quotations, maxims, etc. Published in honor of Pioneer Fund's 70th birthday and a memorial to its founder, Philip L. Carret (d. May 28, 1998). (Scudder), Scudder, Stevens & Clark (1994). The History of Scudder, Stevens, & Clark : 75 years. (Boston, MA: Scudder, Stevens & Clark, 173 p.). Scudder, Stevens & Clark--History; Investment advisors--Massachusetts--Boston--History--20th century; Securities industry--United States--History--20th century; Financial services industry--United States--History--20th century. (Third Millennium Russia Fund), John T. Connor; with Lawrence P. Milford (2008). Out of the Red: Investment and Capitalism in Russia. (Hoboken, NJ: Wiley, 205 p.). Founder, Portfolio Manager of the Third Millennium Russia Fund, U.S., S.E.C.-registered mutual fund specializing in equities of Russian public companies; Equity Analyst for Third Millennium Russia Fund. Investments --Russia (Federation); Capitalism --Russia (Federation); Russia (Federation) --Economic policy. Industry overview, history, advice on how to invest in industries (steel/metals, oil and gas, auto, real estate, banking, retail); 60 viable companies; currency, oil, political risks. (Tiger Management), Daniel A. Strachman (2004). 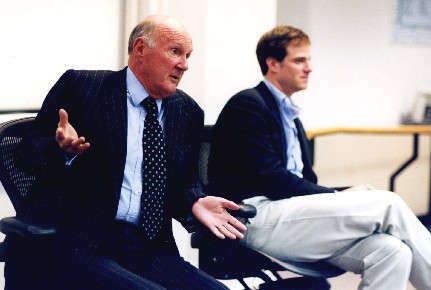 Julian Robertson: A Tiger in the Land of Bulls and Bears. (New York, NY: Wiley, 288 p.). Managing Director of Answers Company. Robertson, Julian; Tiger Management; Hedge Funds. (Traxis Partners), Barton Biggs (2006). HedgeHogging. (Hoboken, NJ: Wiley, 256 p.). Formerly Head of Investment Strategy (Morgan Stanley). Hedge funds. Battle for investing survival. (Traxis Partners), Barton Biggs (2008). Wealth, War, and Wisdom. (Hoboken, NJ: Wiley, 358 p.). 30-year veteran of Morgan Stanley (formed firm’s number one-ranked research department, built its investment management business, served as chairman of investment management firm). Stock exchanges--History--20th century; Investments--History--20th century; World War, 1939-1945--Economic aspects; Wealth. "The wisdom of markets" prevails, even in most turbulent of eras: how perilous times affect financial markets, how investors can benefit; how turning points of World War II intersected market performance, can help 21st century investor comprehend perilous times, choose best strategies for modern market economy. (Treynor Capital Management Inc.), Jack L. Treynor (2007). Treynor on Institutional Investing. (Hoboken, NJ: Wiley, 574 p.). President of Treynor Capital Management, Inc; Former Editor of the Financial Analysts Journal. Institutional investments; Portfolio management. Investment insights: from seminal presentation of CAPM at MIT in 1962 to papers that introduced modern risk, performance measurement to revolutionary paper on inflation; controversial proposals on trading strategy, stock valuation. (Vanguard), Robert Slater (1997). John Bogle and the Vanguard Experiment: One Man's Quest to Transform the Mutual Fund Industry. (Chicago, IL: Irwin, 270 p.). Bogle, John C.; Vanguard Group of Investment Companies-History; Mutual Funds-United States-History. (Vanguard), John C. Bogle (2001). John Bogle on Investing: The First 50 Years. (New York, NY: McGraw Hill, 455 p.). Vanguard Group of Investment Companies; Investments; Securities; Mutual funds; Portfolio management. (Vanguard), John C. Bogle (2002). Character Counts: The Creation and Building of The Vanguard Group. (NewYork, NY: McGraw-Hill, 333 p.). Bogle, John C.; Vanguard Group of Investment Companies; Chief executive officers--United States--Biography; Mutual funds--United States. (Vanguard), John C. Bogle (2005). The Battle for the Soul of Capitalism. (New Haven, CT: Yale University Press, 288 p.). Founder, Former CEO of the Vanguard Mutual Funds. Capitalism--United States; Corporations--United States; Investments--United States; Mutual funds--United States. Jeremiad against corporate excess. (Vanguard), John C. Bogle (2008). Enough: True Measures of Money, Business, and Life. (Hoboken, NJ: Wiley, 288 p.). Founder of The Vanguard Group. Finance; Investments; Business; Value. Attributes of life well-lived; warned about risks presented by financial system that subtracted value from society; what is, should be "enough" in money, in business, in life; nation suffered from decades of unchecked financial excess (investment company fees; financial speculation masquerading as diversification and innovation; salaries of top executives; salesmanship; role played by financial industry in national economy, national life); frenzy of derivatives, structured vehicles, layers of intermediation behind recent collapse. (Vanguard), Johm Bogle (2010). Don't Count on It! : Reflections on Investment Illusions, Capitalism, "Mutual" Funds, Indexing, Entrepreneurship, Idealism, and Heroes. (Hoboken, NJ: Wiley, 603 p.). Founder of The Vanguard Group. Investments; Portfolio management; Business mathematics. Essays based on speeches delivered to professional groups, college students in recent years; 8 themes:1) illusion versus reality in investing; 2) indexing to market returns; 3) failures of capitalism; 4 flawed structure of mutual fund industry; 5) spirit of entrepreneurship; 6) what is enough in business, in life; 7) advice to America's future leaders; 8) characters who shaped his career. (Velocity Capital Management), Andy Kessler (2004). Running Money: Hedge Fund Honchos, Monster Markets, and My Hunt for the Big Score. (New York, NY: HarperCollins, 320 p.). Co-founder and President. Hedge funds. Anonymous Hedge Fund Manager; [introduction by] Keith Gessen (2010). Diary of a Very Bad Year: Confessions of an Anonymous Hedge Fund Manager. (New York, NY: Harper Perennial, 272 p.). Co-Editor-in-Chief of n+1. Hedge funds --Management; Subprime mortgage loans; Global Financial Crisis, 2008-2009. Candid, account of economic crisis; two years of interviews with despairing anonymous hedge fund manager; stories behind death of Bear Stearns, collapse of Lehman Brothers, plunging dollar, bailouts, Madoff scandal, upswing; stress - took semi-sabbatical. John Baschab and Jon Piot (2010). Outperform: Inside the Investment Strategy of Billion Dollar Endowments. (Hoboken, NJ: Wiley, 316 p.). Senior Vice President at Technisource; Co-Founder and CEO of Impact Innovations Group. Endowments -- United States -- Finance; Investments -- United States; Institutional investments -- United States. How Chief Investment Officers at top academic endowment funds (manage over $400 billion in total assets) consistently outperform market,; what they predict for coming years; how small investors can employ their investment philosophies; 1999–2009 - large endowments returned an average of 6.1%, compared to S&P 500 index average of –2.22%. Thomas A. Bass (1999). The Predictors. (New York, NY: Holt, 309 p.). Investment advisors; Stock price forecasting; Economic forecasting; Investment analysis. Richard Bookstaber (2007). A Demon of Our Own Design: Markets, Hedge Funds, and the Perils of Financial Innovation. (Hoboken, NJ: Wiley, 276 p.). Manager of FrontPoint Partners, Former Managing Director for Risk Management at Salomon Brothers, Member of Salomon's Risk Management Committee. Hedge funds; Risk management. Liquidity begets greater leverage; innovation creates greater complexity; structure demands nonhuman level of rationality; twofold solution: 1) reduce complexity, 2) break tight coupling of transactions. Peter Brimelow (1986). The Wall Street Gurus : How You Can Profit from Investment Newsletters. (New York, NY: Random House, 238 p.). Investment advisors; Investment analysis. Hugh Bullock (1959). The Story of Investment Companies (New York, NY: Columbia University Press, 305 p.). Mutual Funds-United States. Jonathan Burton (2001). Investment Titans: Investment Insights from the Minds that Move Wall Street. (New York, NY: McGraw-Hill, 278 p.). Investments--United States; Investment analysis; Securities--United States. Katherine Burton (2007). Hedge Hunters: Hedge Fund Masters on the Rewards, the Risk, and the Reckoning. (New York, NY: New York, NY, 206 p.). Reporter (Bloomberg News). Hedge funds; Investment advisors. Personal journeys, strategies for producing outstanding returns, characteristics that make great investor, attributes most important to job. Michael J. Clowes (2000). The Money Flood: How Pension Funds Revolutionized Investing. (New York, NY: Wiley, 308 p.). Pension trusts--Investments--United States. Douglas J. Donnelly (1994). The Money Monarchs: The Secrets of 10 of America's Best Investment Managers. (Burr Ridge, IL: Business One Irwin, 222 p.). Investment advisors--United States; Investments--United States. Steven Drobny (2006). Inside the House of Money: Top Hedge Fund Traders on Profiting in a Global Market. (Hoboken, NJ: Wiley, 384 p.). Cofounder of Drobny Global Advisors. Hedge funds; Mutual funds; Investment advisors; Portfolio management; Investments. Thirteen interviews with industry's best minds. Steven Drobny; foreword by Jared Diamond (2010). The Invisible Hands: Hedge Funds Off the Record--Rethinking Real Money. (Hoboken, NJ, Wiley, 484 p.). Cofounder and partner of Drobny Global Advisors (DGA). Hedge funds; Mutual funds; Investment advisors; Portfolio management. Hedge fund managers highlight specific risk and return objectives, evolution of certain styles, beliefs in money management; top hedge fund managers who survived, prospered through 2008 financial crisis; investments, strategies for rocky road ahead; how hedge fund managers seek new paradigm of risk management, profit making opportunities in post-crisis world; how traditional investors (pensions, endowments, foundations family offices) should rethink asset allocation, portfolio construction. Charles D. Ellis, with James R. Vertin (2001). Wall Street People: True Stories of Today's Masters and Moguls. (New York, NY: Wiley, 342 p.). Investment advisors--United States. --- (2003). Wall Street People: True Stories of the Great Barons of Finance. (Hoboken, NJ: Wiley, 276 p.). Investment advisors--United States. Matthew P. Fink (2008). The Rise of Mutual Funds: An Insider's View. (New York, NY: Oxford University Press, 320 p.). Former President, Investment Company Institute. Mutual funds -- History. Developments that produced mutual funds' long history of success from 1940 to largest financial industry in world (over 88 million shareholders, over $11 trillion in assets). Ben Finkelstein (2006). The Politics of Public Fund Investing: How To Modify Wall Street to Fit Main Street. (New York, NY: Simon & Schuster, 208 p.). Investment of public funds--United States; Local finance--United States. Fixed-income portfolio management while balancing politics (preserve principal), with economics (optimize income). Richard Folcker (2001). Derivatives Diary: The Strategies of an Independent Fund Manager. (New York, NY: Wiley, 128 p.). Management Consultant Specializing in Global Risk Management. Investment advisors; Investment analysis--Marketing; Derivative securities. Albert J. Fredman, Russ Wiles (1993). How Mutual Funds Work (New York, NY: New York Institute of Finance). Mutual funds; Investments. Richard Goldberg (2009). The Battle for Wall Street: Behind the Lines in the Struggle that Pushed an Industry into Turmoil. (Hoboken, NJ: Wiley, 240 p.). Wall Street veteran with Lehman Brothers, Lazard, and Wasserstein Perella (25 years). Investment advisors --United States; Investments --United States; Finance --United States; Stock exchanges --New York (State) --New York. Struggle for power between sellers (traditional commercial, investments banks) and buyers (upstart hedge funds, private equity firms) to win hearts, minds, wallets of global investors; forces behind shift of power from sell side to buy side. Boris Groysberg (2010). Chasing Stars: The Myth of Talent and the Portability of Performance. (Princeton, NJ: Princeton University Press, 464 p.). Associate Professor in the Organizational Behavior Unit (Harvard Business School). Investment advisors --United States; Labor turnover --United States; Wall Street (New York, N.Y.). Fundamental nature of outstanding performance; star analysts who change firms suffer immediate, lasting decline in performance; earlier excellence appears to have depended heavily on former firms' general, proprietary resources, organizational cultures, networks, colleagues; female stars perform better, after changing jobs, than male counterparts; how some Wall Street research departments successfully grow, retain, deploy their own stars; how findings apply to many other occupations. Ed. Gilbert E. Kaplan and Chris Welles. With an introd. by 'Adam Smith.' (1969). The Money Managers. (New York, NY: Random House, 261 p.). Publisher of Institutional Investor, Journalist, respectively. Investment advisors--United States. "Profiles ... based on articles which originally appeared in The institutional investor." Scott Kays (2005). Five Key Lessons from the Top Managers. (Hoboken, NJ: Wiley, 278 p.). Founder, Kays Financial Advisory Corporation (over $100 million in client assets). Portfolio management; Investment analysis; Investment advisors. Different investment styles, five common principles. Kirk Kazanjian (2000). Wizards of Wall Street: Market-Beating Insights and Strategies from the World's Top-Performing Mutual Fund Managers (New York, NY: New York Institute of Finance, 359 p.). Mutual funds--United States; Stocks--United States; Investments--United States; Investment advisors--New York (State)--New York--Interviews; Stockbrokers--New York (State)--New York--Interviews; Stock exchanges--New York (State)--New York. Ari Kiev (2005). Hedge Fund Masters: How Top Hedge Fund Traders Set Goals, Overcome Barriers, and Achieve Peak Performance. (Hoboken, NJ: Wiley, 272 p.). President of the Social Psychiatry Research Institute (stress management and performance enhancement). Hedge funds; Investment analysis; Floor traders (Finance). Norman King (1983). The Money Messiah$. (New York, NY: Coward-McCann, 221 p.). Investment advisors--Biography; Capitalists and financiers--Biography. James A. Kujaca (1996). The Trillion Dollar Promise: An Inside Look at Corporate Pension Money, How Its Managed, and for Whose Benefit. (Chicago, IL: Irwin Professional Pub., 191 p.). Pension trusts--United States--Management; Pension trusts--United States--Investments; Pension trusts--Corrupt practices--United States. Michael F. Lane (2000). Secrets of the Wealth Makers: Top Money Managers Reveal Their Investing Wisdom. (New York, NY: McGraw-Hill, 217 p.). Investments; Finance, Personal; Investment advisors. Showcases the proven wealth-building tactics of the best and brightest financial advisors in the country. Dean LeBaron, Romesh Vaitilingam (2002). Dean LeBaron's Treasury of Investment Wisdom: 30 Great Investing Minds. (New York, NY: Wiley, 310 p.). Founder (Batterymarch Financial Management). Investments; Stock exchanges. Louis Lowenstein (2008). The Investor’s Dilemma: How Mutual Funds Are Betraying Your Trust and What To Do About It. (Hoboken, NJ: Wiley, 220 p.). Simon Rifkind Professor Emeritus of Finance and Law, Columbia Law School. Mutual funds--United States; Investments. Fund families have become behemoths, primary goal to collect more assets; investors suffer; how highly overpaid are mutual fund managers; how they consistently cost investors through unreasonable fees, expenses; maze of conflicts of interest, financial double-dealing; fund. Martin Mayer (1969). New Breed on Wall Street: The Young Men Who Make the Money Go. (New York, NY: Macmillan, 128 p.). Investment advisors--United States; Institutional investments--United States. Ben Mezrich (2004). Ugly Americans: The True Story of the Ivy League Cowboy Who Raided Asia in Search of the American Dream. (New York, NY: Morrow, 288 p.). Capitalists and financiers--Japan--Biography; Americans--Japan--Biography; Hedge funds--Japan. Louis Navellier (2007). The Little Book That Makes You Rich. (Hoboken, NJ: Wiley, 208 p.). Newsletter Editor (25+ years) - Recommendations have gained over 4,806 percent in last 22 years (confirmed by The Hulbert Financial Digest). Stocks; Investments. 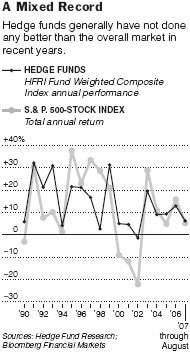 How to find stocks poised for rapid price increases, regardless of overall stock market direction; statistical, quantitative measures needed to measure risk, reward along path to profitable growth stock investing; specific tools for selecting stocks based on factors that years of research have proven to lead to growth stock profits. Ronald D. Orol (2008). Extreme Value Hedging: How Activist Hedge Fund Managers Are Taking on the World. (Hoboken, NJ: Wiley, 370 p.). Senior Writer for The Deal and The Daily Deal. Hedge funds; Hedging (Finance). Rise to power in U.S. of activist hedge fund managers, how they spread their influence around globe (China, Ukraine, South Korea, Sweden). Robert C. Pozen; editorial assistance by Sandra D. Crane (2002). The Mutual Fund Business (Boston, MA: Houghton Mifflin, 589 p. [2nd ed.]). Mutual funds--United States--Case studies. Michael D. Sheimo (2000). Mutual Fund Rules: 50 Essential Axioms to Explain and Examine Mutual Fund Investing (New York, NY: McGraw-Hill, 247 p.). Mutual funds--Handbooks, manuals, etc. R. J. Shook (2005). The Winner's Circle: Wall Street's Best Mutual Fund Managers. (Hoboken, NJ: Wiley, 238 p.). Mutual funds--United States; Investment advisors--United States; Success in business. Michael Steinhardt (2001). No Bull: My Life In and Out of the Markets. (New York, NY: Wiley, 289 p.). Hedge Fund Manager. Steinhardt, Michael; Capitalists and financiers--United States--Biography; Investments--United States. Larry E. Swedroe (2011). The Quest for Alpha: The Holy Grail of Investing. (Hoboken, NJ: Wiley, 208 p.). Principal and the Director of Research for the Buckingham Family of Financial Services. Investments; Investment analysis; Portfolio management. Grail: returns above appropriate risk-adjusted benchmark; debate over decades: active investing-stock picking, market timing-versus passive investing-markets are highly efficient, almost impossible to outperform; active investing - likely to prove futile (associated expenses-costs, fees, time spent analyzing individual stocks and overall market likely to exceed any benefits gained). Peter Tanous, with a foreword by Andrew Tobias and a preface by Richard C. Breeden (1997). Investment Gurus : A Road Map to Wealth from the World's Best Money Managers. (New York, NY: New York Institute of Finance, 414 p.). President (Lynx Investment Advisory, LLC). Investment advisors--United States--Interviews; Stocks; Portfolio management. Peter Temple (2001). Hedge Funds: The Courtesans of Capitalism. (New York, NY: Wiley, 271 p.). Former Investment Analyst for a Fund. Hedge funds; Hedge funds--United States; Capitalism. Michael Useem (1996). Investor Capitalism: How Money Managers Are Changing the Face of Corporate America. (New York, NY: Basic Books, 332 p.). Institutional investments -- United States; Investment advisors. Established in 2000 as a response to the recent rapid growth in investor interest in hedge funds and the demand for a greater understanding of what remains for many, a highly complex world, characterised by intricate investment methodologies. The Securities Exchange Commission (SEC) has just announced a new Website that allows users to look up information about SEC- and state-registered investment advisor firms. Users can search for firms and pull up their most recent Form ADV, the form that firms file to register with the SEC or the states. The form contains information about the firm's operations, its key personnel, and disciplinary actions involving the firm. The site also provides links to related sites, such as state regulators and the Central Registration Depository Public Disclosure on the Internet.